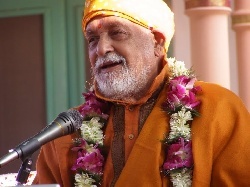 Paramahamsa Satyananda who inspired millions to live the divine life took maha samadhi at midnight on December 5th. Acoording to the tradition for Paramahansas a shodashi puja (sixteen day ritual) will be observed at Rikhiapeeth for Paramahansaji which will culminate in the final puja on 22nd December. 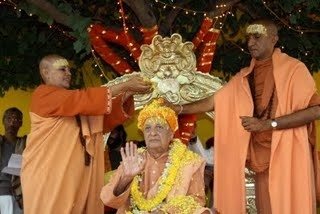 Disciples devotees friends and well wishers are flocking to rikhia to offer shradhanjali. All are welcome for the blessings of Paramahansaji that were abundantly flowing to all he came in contact with during his lifetime and have now magnified a thousandfold after he abandoned his body to attain maha samadhi.